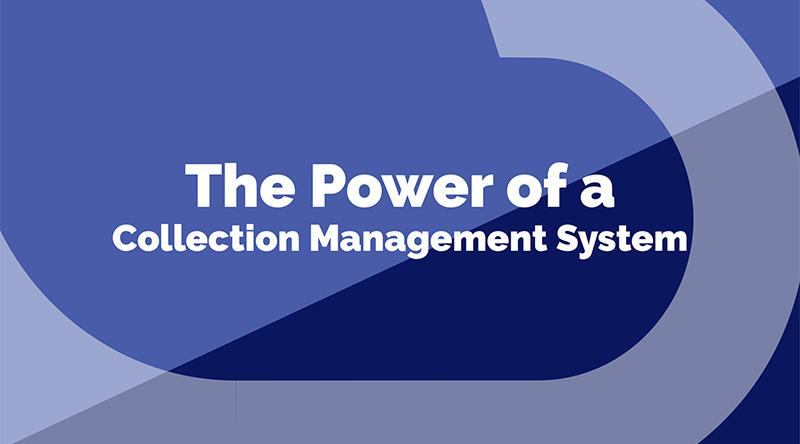 If you work for a museum, gallery, archival institution, library or any industry that is responsible for managing and maintaining a special and significant collection of material, a Collection Management System (CMS) could be beneficial for you. A comprehensive CMS will let you easily manage all the information about each item in your collection and the overall collection as a whole, ultimately providing you better in-house digital asset management. Perhaps most importantly, data created and captured in a CMS during archival and preservation processes can supercharge special collection activities, effectively adding greater results without additional overhead. While a CMS is an important tool for internal members of your organisation, a really smart CMS will also enable engagement of external communities with features and tools for users, visitors and customers to research and add knowledge to the collection. According to the International Data Corporation (IDC), between 80-90% of enterprise data is still unstructured, living in a variety of siloed organisational systems. If this sounds familiar, then the following points will demonstrate the benefits of using a CMS to make your data more accessible and useable. A CMS can house and protect everything you, your organisation and your community know about your collections. This could be in the form of the digitised images, text, audio or visual material, plus the metadata relating to those items, conservation documentation, licences and rights, insurance and valuation, barcodes, cataloguing, loans, publication and exhibition history plus many more pieces of information. With all your information in one place, new connections can be made between related data of your collections that might not have been known before, creating a thorough research tool for you and your intended users/audience. A CMS takes away the sometimes overwhelming knowledge of collections into an easily searchable database. This allows you to have a complete overview of your collections and ability to see themes and stories that your collections are telling you. Giving shape to collection-related data inside a unified CMS allows your data to be analysed by business intelligence tools and visualisation systems. Using these powerful resources, data contained in a comprehensive CMS not only provides crucial information for the performance of archival activities, but also becomes a river of information from which internal teams can draw insights into their own processes. Your collections face many risks, from becoming misplaced, damaged due to poor storage, neglect, inappropriate conservation measures or by simply being undervalued. With a well maintained CMS you will have extensive protection and risk mitigation for the collections. A CMS enables the gaps in your collection to be seen visually and where research or acquisition will enhance the quality of your collection. Seeing a collection of related data in your CMS assists curatorial decisions about how your collections are presented to your audience. A CMS ensures that data related to provenance, valuation and content of collection items is available to the users that need access in ways that support their activities from accessioning, though to cataloguing, stocktaking and disposal. A smart CMS makes related information available when required, whether this is loan information or high resolution images of the objects and details on the objects, or geotagged data about the locations. Institutional collections and knowledge can become raw material for any type of creative or commercial endeavour; interactive exhibitions now exist online and in-house, and content creators are scouring the online world for inspiration and supporting material for everything from podcasts to feature films. By creating digital archives and an online presence which encourage discovery, interaction, and re-use, collection holders can foster incredible community engagement and establish rewarding commercial partnerships. • Creativity – to empower experimentation. Maintaining a comprehensive CMS also pays dividends when connecting to your user and visitor base. By implementing a continuous cycle of uploading compelling digital assets and linked metadata, configuring platforms for crowd interaction, and analysing user behaviour, institutions can utilise their CMS to unlock the valuable knowledge and drive a passionate community of contributors. Open access CMS allows engagement with your collection by external experts to add knowledge to specific parts of your collection in a completely controlled and moderated environment. Open access also enables volunteers and members of your community to contribute knowledge and history to your collections. In this increasingly digital world, a CMS facilitates the creation of online digital exhibitions to enhance and promote stakeholder and community engagement. With a well-structured CMS you can provide the material needed to create rich experiences which capture the imagination of online and in-person visitors. When choosing a smart CMS we recommend you ask yourself the following questions to make sure you choose the right software for your collection. What kind of material do you have in your collections and what CMS software will be able to hold them, from digital images, text documents, PDFs, or audio visual material. Who needs to access your collections? Determine your level of access, is the CMS for a secure in-office data base or do you need a cloud based software that can be accessed anywhere. This will also factor into your level of security and desired publishing and promotion of your collections. Do they need to be accessed anywhere by anyone or are they private collections only for the viewing of smaller groups of people? Do you want to share your collections with the world? Determine if your collections need the ability to integrate with other programmes and software, eg; social media, google maps, internal database system, etc. What is your desired level of customisation? If you have a strong brand that associates with your collections you need to choose a CMS that allows a high level of customisation. What level of technical resources do you have to manage a CMS? Many CMS software packages include a level of support and training to help you manage your collections. If you have in-house knowledge and resources to manage and maintain your own collections you can fully own the operation of your CMS. However, if you have limited resources some CMS packages do have the benefits of access to metadata and collection management experts available for consultation and training. Selecting the right CMS is important, but a great CMS that is poorly configured and maintained is a waste of time and effort. A good implementation starts with discovery, a detailed analysis of user requirements through developing user personas and creating a strong understanding of what and how users need the CMS to deliver benefits. A comprehensive review of the collections, metadata and related information is essential to understanding what can be delivered to the users and what additional data needs to be created to ensure the system is useful. A well thought out plan that includes project scope, task lists, realistic timelines, risk, issues and communication registers needs to be created and managed effectively. And finally, the implementation needs to be given adequate resource to allow success. A smart, properly implemented CMS provides a platform to deliver real increases in organisational productivity, and access to and engagement with your collections. Contact us if you have questions or would like to discuss your requirements for a smart Collection Management System.